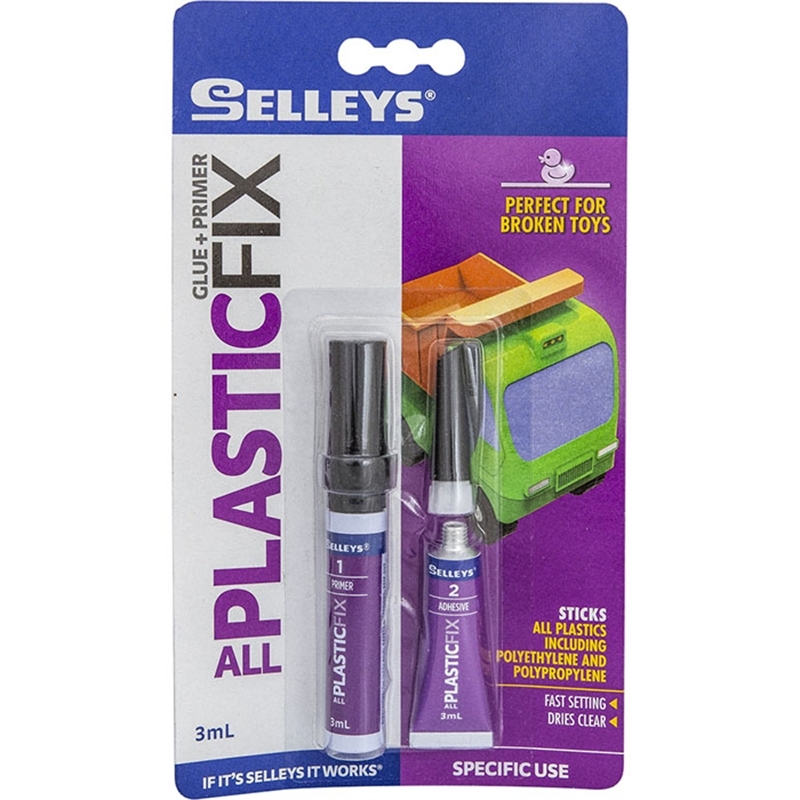 All Plastic Fix is a multi-part product for adhering plastics, which includes a ‘texta pen’ type applicator with solvent soaked felt nib, and 3ml tube of adhesive. 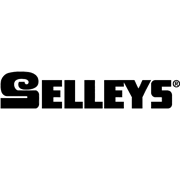 Excellent adhesive strength for polypropylene and polyethylene plastics. 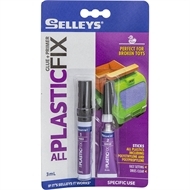 Ideal for all plastics including Polypropylene and Polyethylene, sticks to non porus surfaces such as metal, wood, china, and rubber. Polyethylene, polyproplene, metals, timber, china, rubber and leather.